VPNs are essential security tools for computers and phones, but there are other uses. For example, you can choose the city and country you appear in. Use it for SEO and website testing. A primary use for a VPN on your computer or phone is for making the internet secure and more private, especially when using devices in public places. You can’t really trust open public Wi-Fi hotspots and security may be lax or even non-existent. That group of people on the table over there at the coffee shop or hotel, they could be hackers having a meeting. A VPN fixes that by creating a secure internet connection. VPNs have other uses and if you have a website or blog for example, you might want to check what it looks like from different parts of the world. Why would you want to do this? The internet is global and while your site’s audience may be mostly from one country or continent, anyone, anywhere in the world could access it. You should not ignore other countries because they can make a valuable contribution to your site. Does your site look good and work well in the US, EU, Australia, and other places? A VPN enables you to pretend to be in any of these countries and see your site as if you were there. If your website is available in more than one language, such as American/English and Spanish, or something else, you would want to test it, right? How? Just use a VPN and select a country where the language is spoken to ensure that people are seeing the site in that language. Location settings in the computer’s operating system can interfere with this, but a VPN certainly helps to see sites from different locations. I paid for a multi-year NordVPN subscription ages ago and liked it so much I became an affiliate. Check the latest NordVPN prices and deals here. Avoid paying monthly because VPNs are much cheaper if you sign up for a year or more. The initial cost is more, but it is a lot less when you work out the equivalent monthly payment. If you have a product or service that is only available in a specific city or region of the world, you might want to check whether it turns up in local searches. Of course, you can easily add the location to the search, such as ‘dentist in New York’ but what if someone in New York just searches for ‘dentist’. Would your site come up in the results? OK, so you may not be doing SEO for dentists, but there are many other local services that people search for and a VPN can be used to check a site’s position in search results. By selecting the VPN server location by city, you appear to be located there and can perform local searches and see what comes up. Hopefully, it will be links to your site, or client’s site if you offer SEO services. The city you are in affects the content Google, Bing and some other websites show content and they aim to provide local content. Go to Google News and you will see some stories from your home town. It is the same when searching for services and among the results are local services. Selecting a city in your VPN enables you to see those local news stories and services. You get completely different news when using a VPN and you see things you would not normally see. This could be useful. 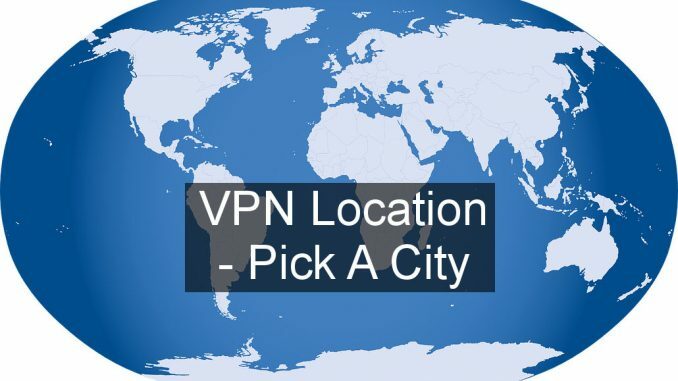 Most VPNs enable you to connect to different countries around the world and this is very useful, but what if you want to go further and select the city. 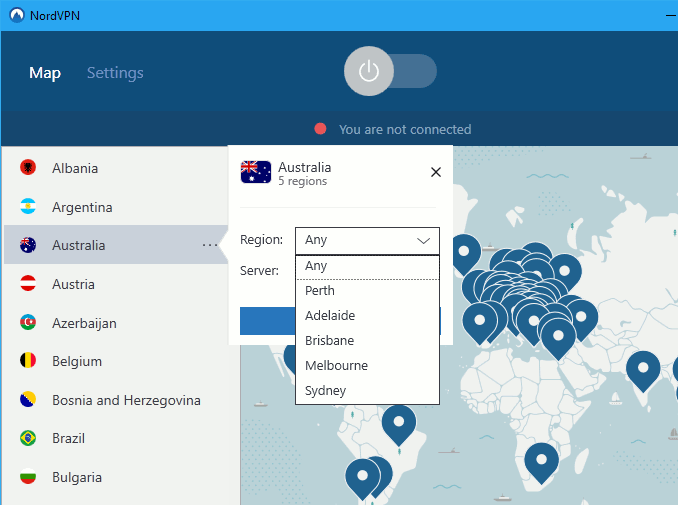 Few VPNs offer such detailed selection criteria for VPN servers, but NordVPN is one of them. 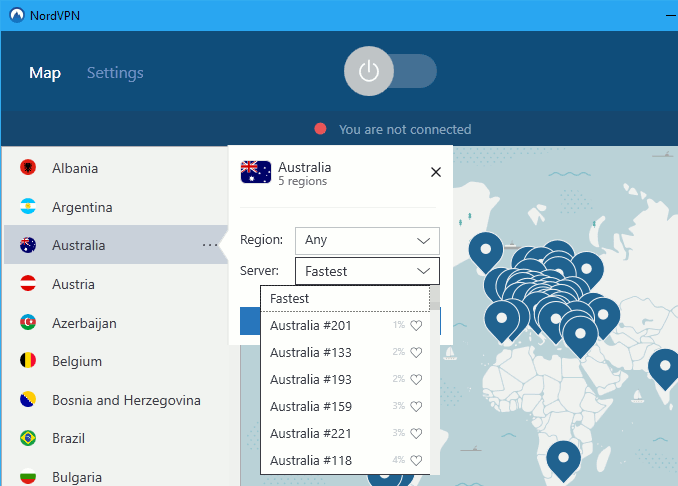 With the PC or Mac app on your computer, the sidebar in the map window lists all the countries you can connect to. Click the three dots and you can actually see the cities servers are located in. For example, if Australia is clicked, the options are Adelaide, Melbourne, Perth and Sydney. Select one of these and NordVPN connects in seconds and you appear to be located in the chosen city. It depends on the country and sometimes there are several cities to choose from – there are 20 cities listed in the US – but sometimes there is no city choice, like Brazil. I expect more cities to be added to the list in future though. Click Browse all servers on the Apple Mac or select Any on Windows PC and you can see that there are often dozens of servers in a country. In fact, NordVPN says it has over 5,000 servers around the world. That is a lot of choice and it helps to prevent any one server from becoming overloaded. Check out NordVPN deals.